The Blog Page Template can be used to create a page to display your posts. To use the template, create a new page in your WordPress admin. You may call it Blog, or use a different title. Content entered into the page editor will not display on the page. On the page edit screen, select the Blog template from the drop down in the Page Attributes box in the right sidebar, or you may select any of the other Blog templates such as Blog Grid, Blog Masonry or Blog Masonry 2 which all provide different styles of displaying your blog posts. After you select the template, click Publish. 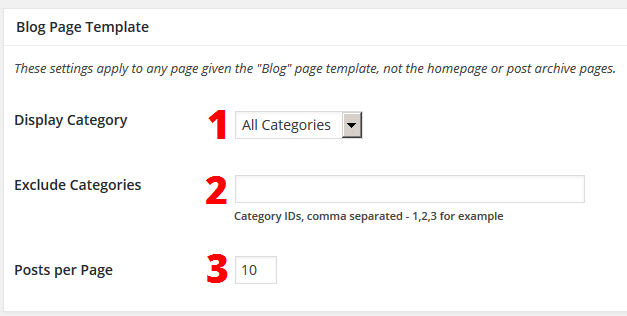 Next, go to Genesis > Theme Settings > Blog Page Template, and configure the content you wish to display on this page. You may choose to display All Categories, or a single category, using the drop down. You may choose to exclude one or more categories by including the category IDs in the input field. You may also choose how many posts you wish to display on this page. Note: This setting is different from the Blog pages show at most setting on Settings > Reading. Once you have completed your configuration, make sure you click Save Settings at the bottom of the page to preserve your changes. You may wish to add a link to this page in your navigation menu so your site visitors can find it.